An elderly tech inventor is accusing the federal government of personally targeting him to block him from patenting his life's work. Anyone who uses a computer or television has enjoyed the fruits of Gil Hyatt's labor. He has pioneered technology and computer programming used by Panasonic, Sony, Philips, and Toshiba. He poured the licensing fees back into the lab where he has continued his research for decades. But beginning in the mid-1990's, Hyatt said the U.S. Patent and Trademark Office (PTO) began enforcing a blockade against his patent applications. The agency, his suit claims, went so far as to create a dedicated group of regulators committed to delaying numerous applications until the 80-year-old inventor expires. "The PTO founded what the agency calls the ‘Hyatt Unit' in 2012 for the purpose of miring all of Mr. Hyatt's applications in administrative purgatory until Mr. Hyatt gives up or dies," the suit says. Hyatt's suit mentions the monetary toll the PTO's actions have had on his life. He has invested thousands of dollars into complying with the agency's paperwork requests and eventually litigation to get them the up-or-down judgment regulators refuse to grant. The delays have no doubt cost him potential earnings, denied licensing and partnerships with companies interested in his inventions—earnings that might have netted him millions, but some of the research has been rendered obsolete as the agency sat on his applications. The money, however, is not his greatest concern. An inventor lives and dies by his reputation. "Character assassination and poisoning the well are part of their [PTO's] stock and trade," he told the Washington Free Beacon in a phone interview. "They have taken away much of my wealth, caused me much emotional distress by making up these bad stories about me…I need closure and I need my reputation to be cleared." An agency spokesman declined comment, saying it does not discuss ongoing litigation. Hyatt is no stranger to delays. He waited 22 years before the microprocessing tech he pioneered received a patent in 1990—one of the 75 patents has obtained from the agency before seeing his applications go seemingly dormant. The agency treated him as a "submariner"—one who adds small tweaks to existing patents to generate new ones—or worse a "patent troll"—a person who uses patents solely to sue other companies in the same field. Hyatt insists he is neither. "I believe that the PTO, starting in the mid-90s was very strongly against individual inventors and were being lobbied and to some degree controlled by big companies," Hyatt said. 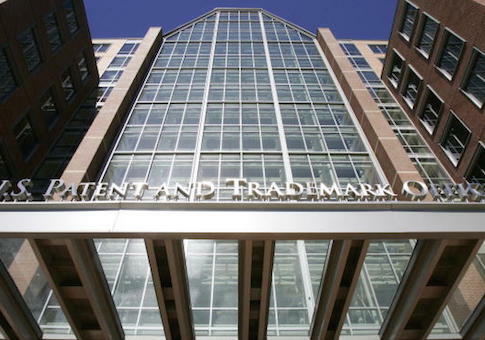 "I've never litigated against a company for infringement—I've never sued anyone for patents." PTO has argued that Hyatt is inappropriately attempting "to have this Court provide oversight into the complex and ongoing examination of his almost 400 applications comprised of over 115,000 claims." The agency says the Court cannot issue a review until it renders a final judgment on the worthiness of the applications. PTO blamed Hyatt for the decades-long delay, saying his litigation "only serve to inhibit the agency from coming to a final decision." "There is simply no legal basis for the relief Mr. Hyatt seeks beyond the actions the USPTO has already taken," the agency said in a motion to dismiss. "Agencies need the freedom to deliberate and come to final decisions on their own before the courts step in and review." Hyatt's attorney, Andrew Grossman of Baker Hostetler, said the agency has abused its discretion in violation of the inventor's constitutional rights. Regulators had "acted in bad faith" and sat on his applications for decades, stalling tactics that deprived him of his intellectual property and his ability to seek judicial relief. He described PTO as a "rogue agency" hoping to dodge oversight. "The idea that an agency can decide to discriminate in every way against a specific citizen and a court can't do anything about it because the agency isn't done discriminating against him yet is ludicrous," Grossman said. "That's the kind of stuff an agency argues when it cannot win on the merits." All Hyatt is asking for, according to Grossman, is an up-and-down decision. He'd take a rejection over the stalling tactics that prevent him from seeking relief. The agency should do away with the "Hyatt Unit" and weigh his inventions on their merits, rather than the name at the top of the applications. "It is not PTO's role to pass judgment on people. It's their role to evaluate applications. They're not supposed to be in the business of value judgments," Grossman said. "They are violating their obligations as servants of the public and violating Gil's constitutional property rights." The case is now before the U.S. District Court in Eastern Virginia. This entry was posted in Issues and tagged Technology. Bookmark the permalink.